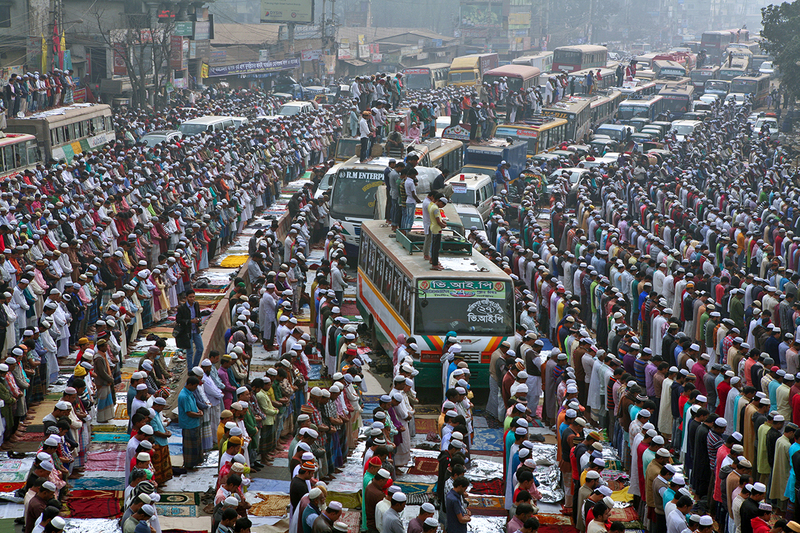 Bishwa Ijtema is the second largest Muslim congregation after Hajj. Hundreds of thousands of Muslims from all over the world gathered on the bank of Turag River in Tongi of Gazipur District, Bangladesh. The three-day congregation started after Fazr prayers with religious sermon by Islamic scholars on Friday morning. And last day it will conclude with 'Akheri Munajat' Bishwa Ijtema. Organized by Tabligh Jamaat in Bangladesh every year.